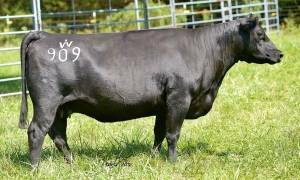 Shocker is a proven calving ease sire that will offer great total performance, power, and phenotype. 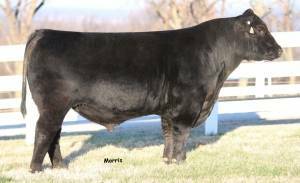 If your looking for exceptional rib shape, Docility and overall body mass he's the go to bull. His great feet and leg structure along with big scrotal are an added bonus. His first calf reports are light birth weight with a lot of vigor and style. Shocker also scanned a 17.8" Ribeye .